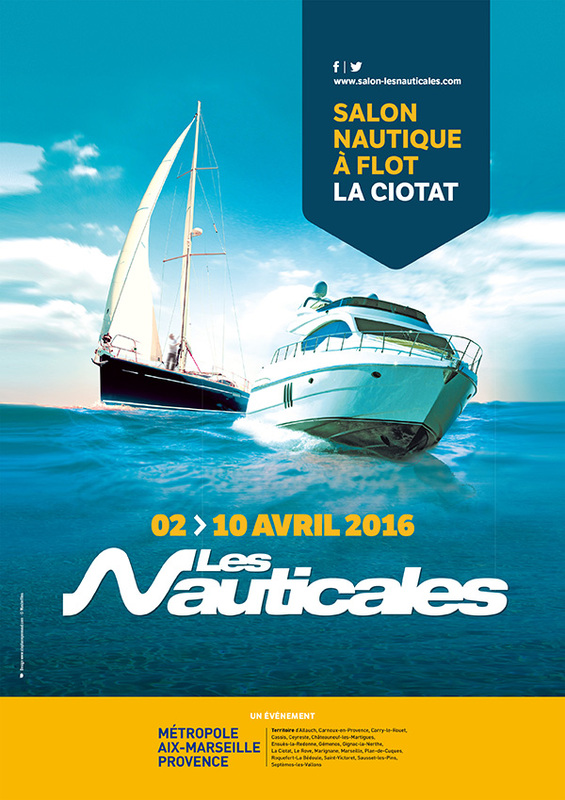 The new edition of boat show ‘The Nauticales’ in La Ciotat begin from 2 to 10 April 2016, take the opportunity to visit us! The Nauticales what is it? It is 9 days of exhibition, 200 exhibitors on 30 000m2 of exhibition, 500 boats including 200 afloat and the presence of exceptional yachts. Organized by Metropolis Aix-Marseille-Provence, this 14th edition promises to be the must-attend event for all yachting professionals in the Provence Alpes Côte d’Azur region. First show afloat referent of the year, this is a real opportunity for boating passionate and the press. Check out an exclusive preview of new boats (with possibilities to sea trip trying) which will be present during the winter show boats like Boot Düsseldorf or Paris Boat Show. Open to the public daily from 10am to 18pm (until 19h Saturday).